Discussion in 'Music Corner' started by toilet_doctor, Jan 19, 2017. George Harrison in Japan Mini LP SHM-CD with new Mastering. I didn't plane to start this thread, but this release forced me to do so. I will work backward to fulfill complete list of titles. It will cover Japan Mini LP releases from Jan. 2017 (Rock, Blues and Jazz). 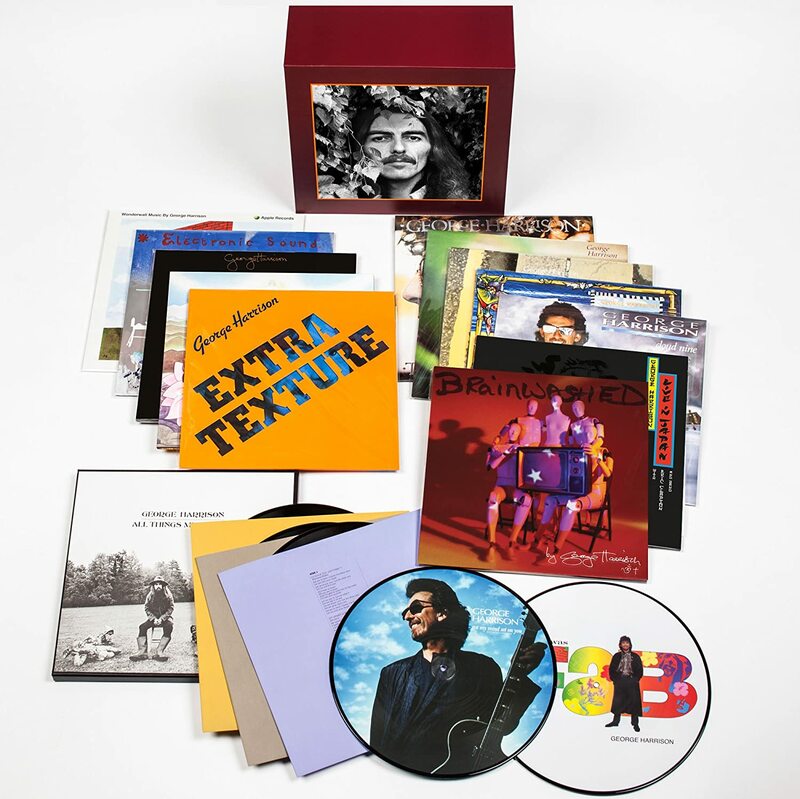 "Cardboard sleeve reissue from George Harrison features SHM-CD format and uses the latest master for vinyl. The mini LP faithfully replicates its UK first pressing LP design, which partially replicates its EU first pressing edition. Also partially replicates the obi included with the first pressing Japanese LP design. This series features the following titles "Wonderwall Music," "Electronic Sound," "All Things Must Pass," "Living In The Material World," "Dark Horse," "Extra Texture," "33 1/3," "George Harrison," "Somewhere In England," "Gone Troppo," "Cloud Nine," "Live In Japan," and "Brainwashed." Speaking of LP mastering, "The original analogue master tapes were used for the new re-masters and were cut at the legendary Capitol studios to ensure exceptional audio quality throughout." LPs also have been announced on Feb. 24, 2017 world-wide, while, interestingly, no reg. CDs yet. You can see on the pictures LP box set. Mini LP will be 1:1, but box itself more likely will come with different Artwork from one of the albums. The Beatles fans around the world, George Harrison's popular products appeared here for people who love it. 15 years since the release of "Brainwashed" which was the last work. Thirteen albums that George left in Apple - Dark Horse Records finally reissues in Japan only SHM - CD & paper jacket specifications! Eleven works excluding "Wonderwall Music" "Electronic Sound" this time the world first Paper jacketed! ● Adopting the latest master for analogue release. ispace, oboogie, fer2 and 13 others like this. 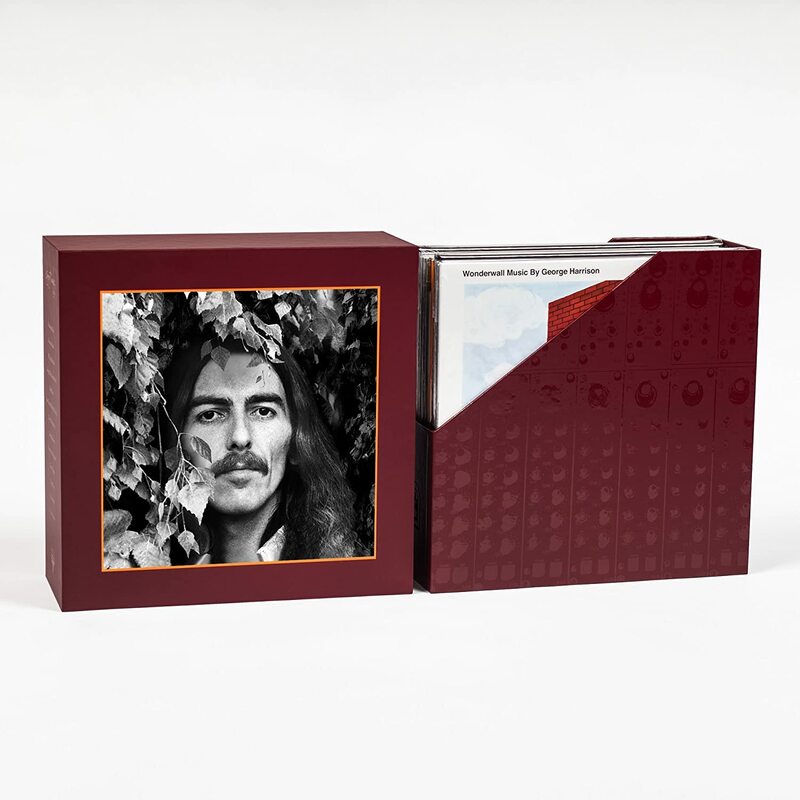 George Harrison in Japan Mini LP for the first time ever! This looks great, but would have been so much better if they were SHM SACDs! Shvartze Shabbos, ispace, Jarleboy and 11 others like this. Shvartze Shabbos, DmitriKaramazov, Jarleboy and 2 others like this. I think those SHM-SACD titles will come eventually....just like John Lennon's. Jarleboy, theMess, pitro and 3 others like this. bluejimbop, PyroMessiah, Jim B. and 2 others like this. Do you have any idea how limited this limited release will be? I'm very tempted to buy All Things Must Pass yet again but as I've already got several versions of this I don't want to get it if it's more compressed than the last UK release. I want to wait for reports from other folk before buying. Carlox and toilet_doctor like this. Any idea if the the SHM-CD mini LPs will be released in a box set or if they are just available individually? I like you post, but... if it does happen eventually, as you said, it would not be in Mini LP like John Lennon. 2. Hong Kong Hybrid SACD (with latest Remaster in Jewel cases)"
I guess first print would be 2000 and then they decide what to do next. 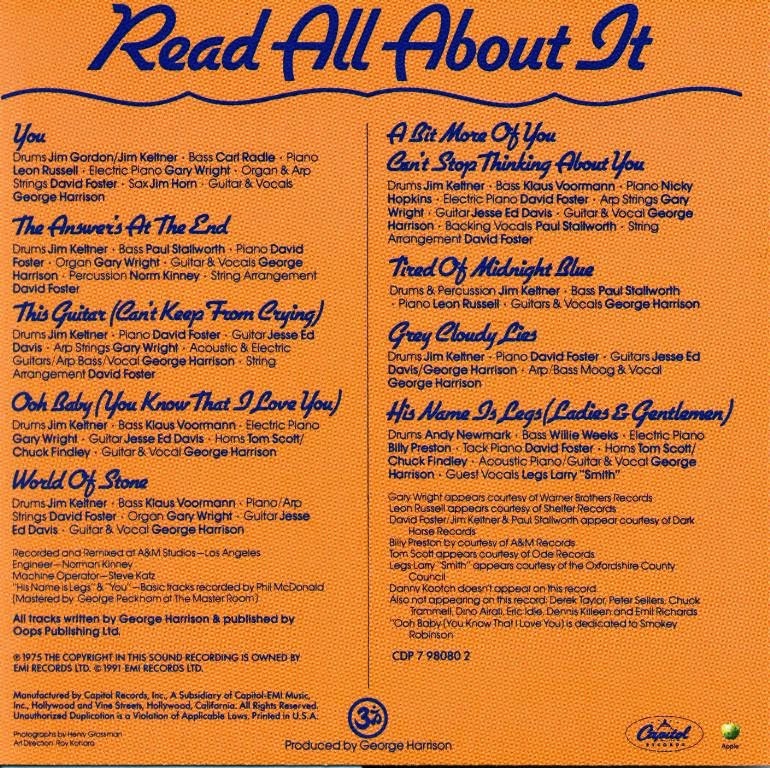 Very popular Mini LP titles sometimes were gone before release date, but they prepared quickly second print (within a week). Sometimes they printed too much in second print and could not sell less popular albums. It was with Wishbone Ash complete set 2010 Japanese Remaster. So, they will be careful, as demand for some albums is not big. It looks like quick decision to meet LP release date. They advertised for one month before release date, rather than two as usually. For such a short time they will do not much. No ad from Japanese dealers at all. Almost all Capitol Remasters I have sound very good. I will buy my favorite albums and will report on a sound here. Carlox, Musicisthebest and A well respected man like this. Only Warner did not allow DU to produce Promo boxes, using original Artwork. Uni do, but they don't have much time. There is no add from Japanese promo box dealers on eBay either. It could be like 5-10% in a box sets for now - 100-200 pieces and more later on... You never know. I usually buy mini individually and then separately box on eBay, if not so expensive. (When I paid for the box a lot, I regretted later, as I could buy them way cheaper many times). We will discuss all of them here, whatever they worth. So far, there is no any other version of this Remaster on CD anywhere. And that push me to be hurry with my order, as Japanese people take no prisoners, when it comes to their collectibles. I will order it today. Let me repeat: today. I agree...the mere fact that they are SHM doesn't mean they're remastered. If they were SACD's they would be. Just being an SHM-SACD doesn't inherently mean it's remastered. They usually are but it's not like it's automatically remastered when it's pressed on SHM-SACD. eelkiller and supermd like this. So these would, or would not be different to the hi-res files released awhile back? You're right about that per se but I do know that all the Stones SHM-SACD's were remastered; I'm assuming (we know how THAT can go ) in the case of all SHM's, the SACD versions are newly remastered. Is it something strange about the "reviews" of the albums or is it just me (my broken English)? For example: '...which contained feelings of memorial to John Lennon who fell into a berserk...' for "Somewhere in England". According to CDJapan, these will have the same mastering as the new vinyl records. It seems to be an automatic translation. toilet_doctor and the sands like this. "The original analogue master tapes were used for the new re-masters and were cut at the legendary Capitol studios to ensure exceptional audio quality throughout." DmitriKaramazov and vonwegen like this. What hope do I have till Feb 24 pay day?? I want to point out one album often overlooked and badly underrated - 1975 Extra Texture. I did not listen to it for many years and now I just re-discovered it. I found it full of great and good songs with George's very pleasant distinctive vocal and signature guitar sound. Yes, sound recognizable from the first note. In one word: Solid. I was wondering what other people think. "...the jacket is full of jokes, from the eaten-away Apple logo (the Apple label would expire at year's end) to the punning title, the list of non-participants, and the mischievous grin of the ex-Beatles above the arch caption "OHNOTHIMAGEN" ("Oh, not him again!"). The record gets off to a great start with the instantly winning single "You" - a bit of which is then repeated to open side two. But here, the basic idea and instrumental track come from February 1971, during George 's most fertile period, dressed up with vocals and string synthesizer four years later. One of George 's most beautifully harmonized, majestic, strangely underrated ballads "The Answer's at the End" -- whose inspiring lyric was based upon an inscription on George 's home by its builder, Sir Frank Crisp -- comes next, followed by "This Guitar (Can't Keep from Crying)," an attractive sequel to "While My Guitar Gently Weeps." At this point, the devoted fan's hopes go up; could this be an unsung masterpiece? But George has fired off his best stuff first, and the record slowly and inexorably tails off, closing with a baffling salute to ex-Bonzo Dog Band member "Legs" Larry Smith.Extra Texture has worn better as a whole than its Apple neighbors Dark Horse and even much of Living in the Material World, reveal a few musical blossoms upon re-listening and the front-loaded songs are among the best of his solo career." I don't have it in my collection and happy to add it to my order. 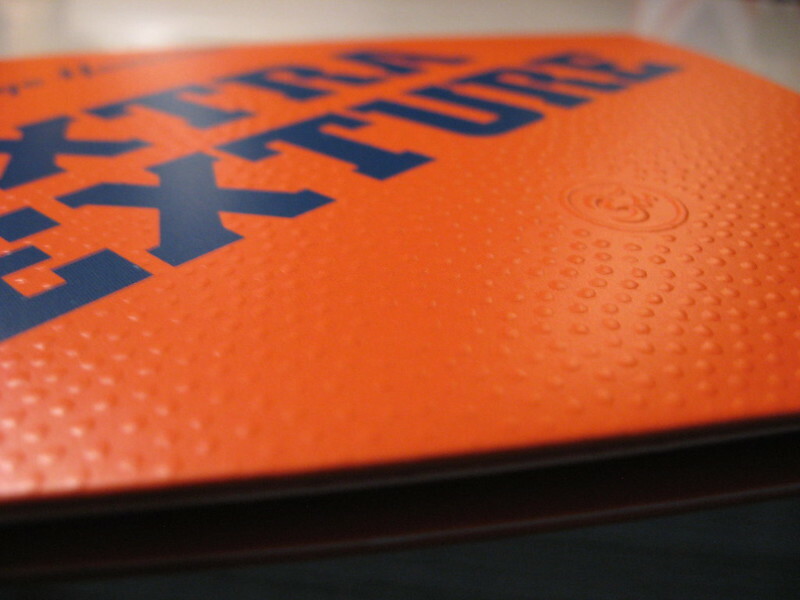 I also hope that it will come in textured cover. tages, Solace, DmitriKaramazov and 3 others like this. You will get second print - not bad for the Limited Edition. Should I be looking to order through Universal Japan or my usual, CdJapan? I've never ordered through Universal Japan but I've never had any problems with CDJapan. My only gripe with CDJapan is that to get guaranteed delivery you have to use FedEx or EMS which works out very expensive to the UK, particularly as both these methods attract UK customs charges. There are a few eBay sellers based in Japan who sell brand new CDs. Their basic price is slightly higher than CDJapan but are shipped using the standard Japanese postal system making the overall cost less than using CDJapan. Because you're buying through eBay you are covered by the eBay guarantee system should they not arrive. They also don't incur customs charges, at least in the UK.